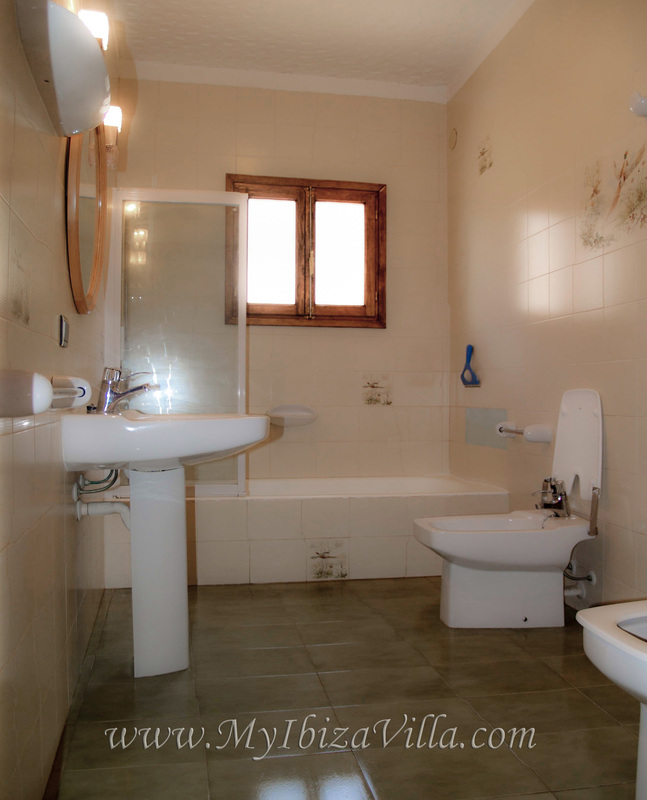 Spain villa to rent in Ibiza with 3 bathrooms. 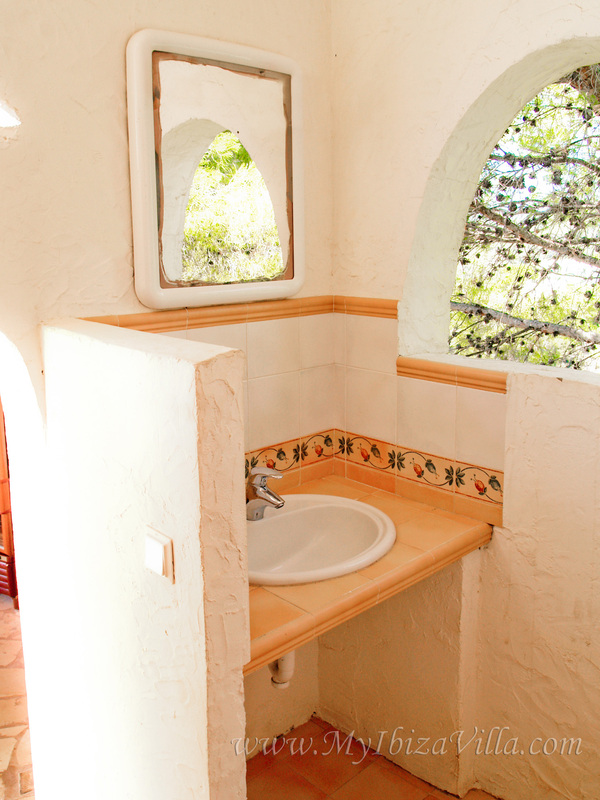 The bathrooms of the Spain villa to rent. 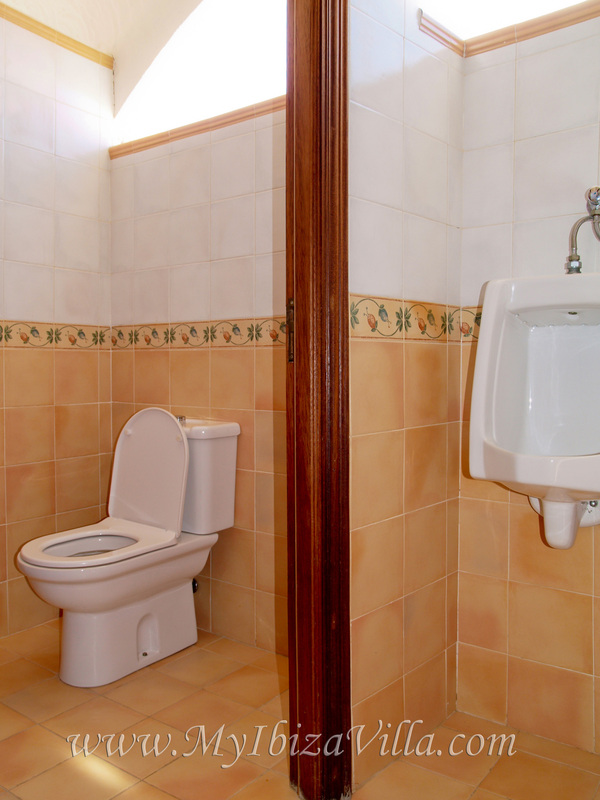 Near the bedrooms are 2 bathrooms, one with bath/shower, wc, bidet and sink (+heating) and one shower room with wc and sink. 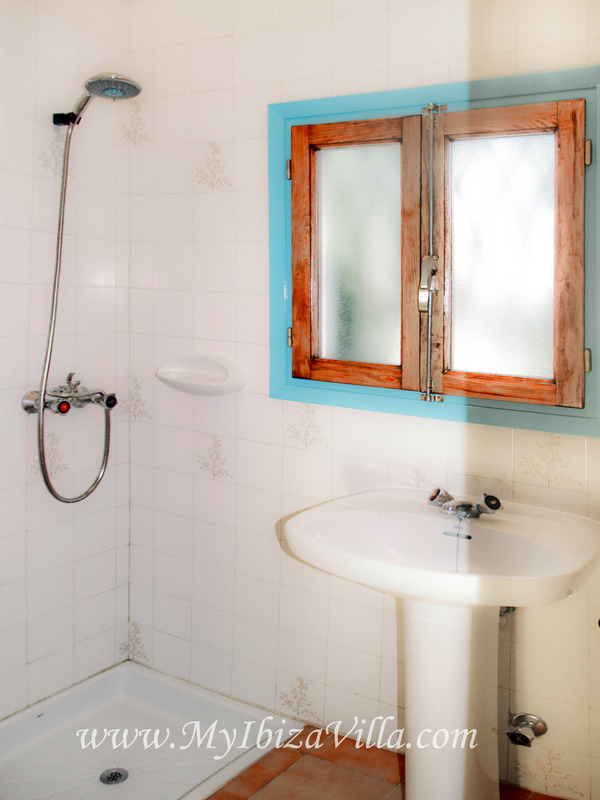 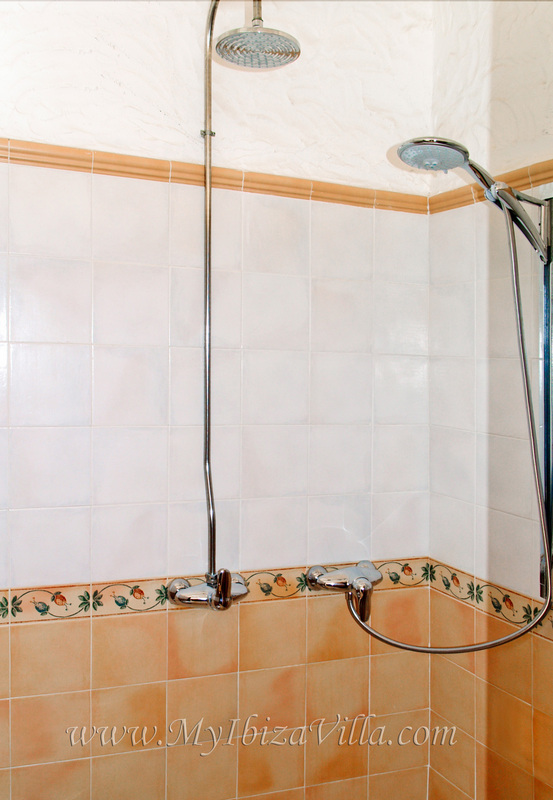 Near the sun-terrace of the Ibiza vacation villa is a third bathroom where you can cool down under a two persons 'rain-dance' shower & enjoy a massage-shower, there is also a bidet, sink and 2 wc (one ladies and one gents). 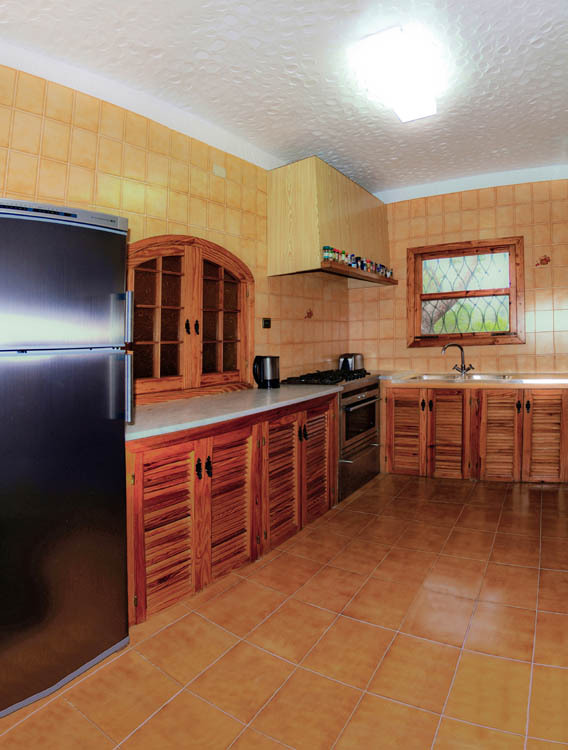 Take a look at the living-room of this Ibiza rental villa and the kitchen. 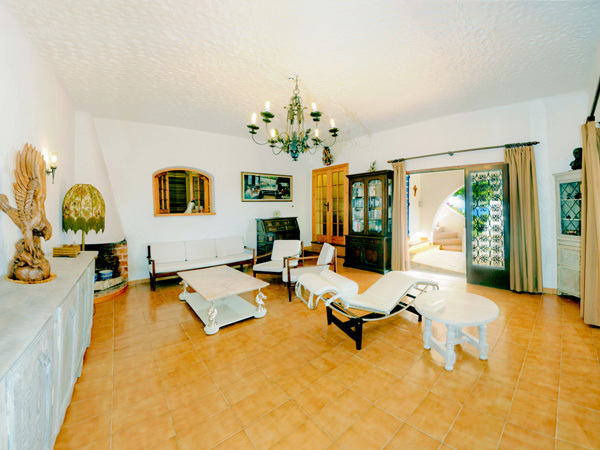 This page is about the privately owned Spain villa "Wu Wei" in Ibiza.